This is Xyloxadoria's first upload as a member of SCRT. 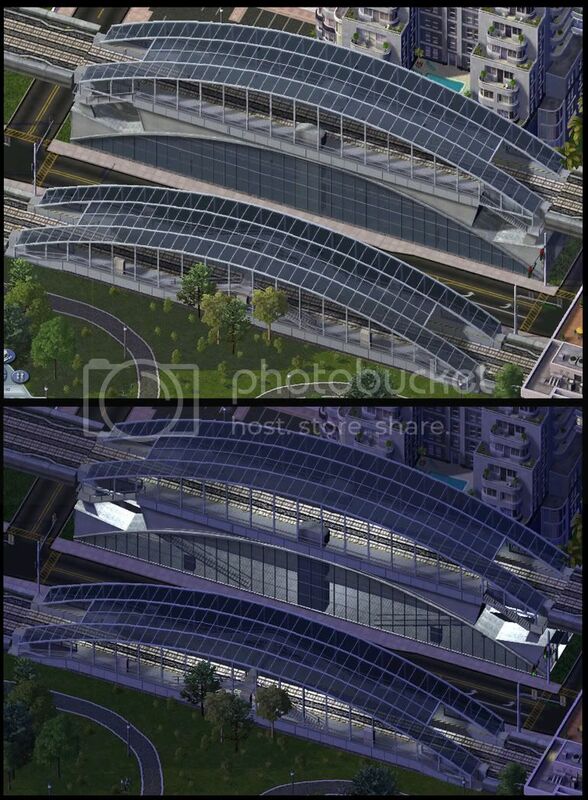 This pack contains two stations for the High Speed Rail Project. One for Ground High Speed Rail and one for High Speed Rail. Unlike the transit hub they only act as a station for HSR. They were modeled in max but I had a render error so I had to render in gmax. Both lots have the same stats. To see a bigger picture click here. This page was last modified on 14 April 2013, at 23:36. This page has been accessed 6,585 times.